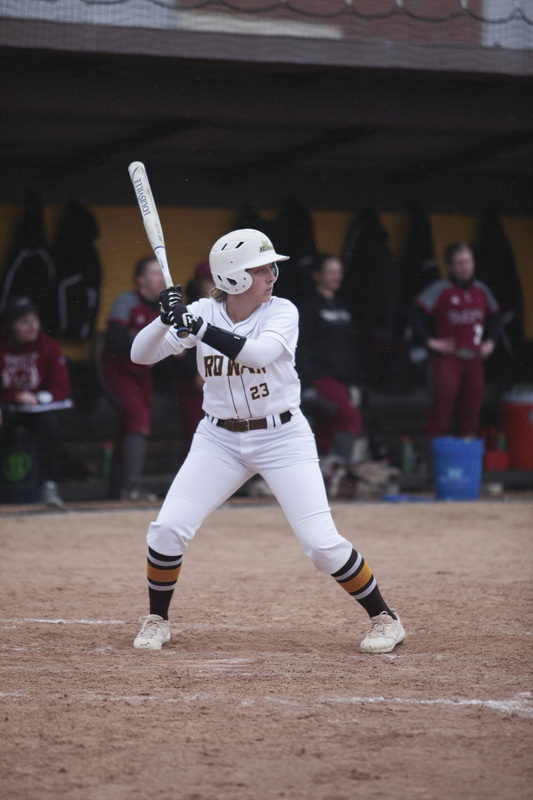 While everyone was out for break, Rowan softball handled business during the Spring Games in Florida, winning eight out of 11 games and boosting its overall record to 10-6. The team won six games in shutout fashion and found a steady dose of offense and defense, specifically pitching. Junior pitchers Lauren Shannon and Jesse DeDomenico, along with sophomores Emily August and Kelly Duffy, allowed 19 runs through 71 innings of work, good enough for 2.7 runs allowed per game. The Brown and Gold scored an average of 4.3 per game. With their 51 total runs scored during the trip, only two were courtesy of the long ball. Senior Carly Anderson had 15 hits, collecting at least one in all but a single game, improving her batting average to .412. Duffy had a season-high three hits against Endicott. Morgan Zane and Cassandra Gerard had 11 and 10 hits, respectively. Now, the team focuses on a doubleheader against Neumann University on Wednesday on the road. They are still yet to have their first home game, which will be a doubleheader on Apr. 2 against William Paterson University. But between those two, is a doubleheader against Kean University on Saturday, opening up New Jersey Athletic Conference (NJAC) play.